The plight of hard, downtrodden men forged by tragedy and personal demons seems to be a recurring theme for director Scott Cooper, who made his claim-to-fame with the country music drama Crazy Heart, earning Jeff Bridges an Oscar win in the process. Out of the Furnace is no less tough; a machismo-filled ode to those who live desperate, economically depressed lives at the heart of the Rust Belt, where in some cases all people have to their name is guilt, loyalty, bad options, and worse options. It's a stark, unsettling working class revenge tale with grim echoes of The Deer Hunter, but for all its great casting and bleak atmospherics, it's never quite the film it should be. Beginning in 2008 on the cusp of Barack Obama's inauguration, the hopeful wind of change has apparently not hit the poor industry town of Braddock, PA. 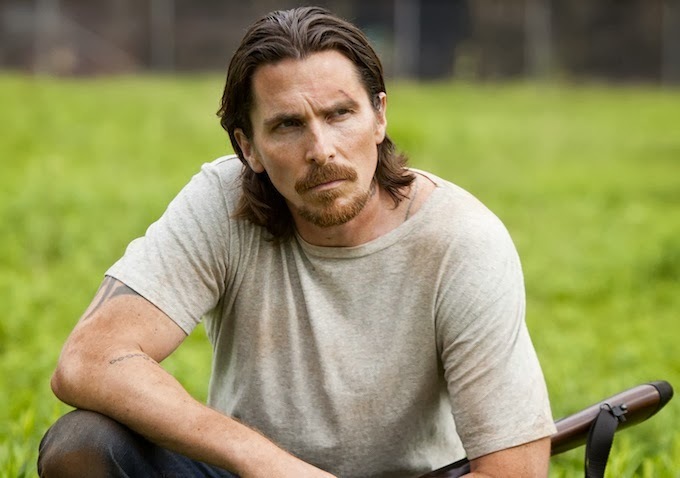 It's there we find Russell Baze (Christian Bale), a man who has moved beyond a trouble past and settled into a comfortable, if meager existence working in the town mill. 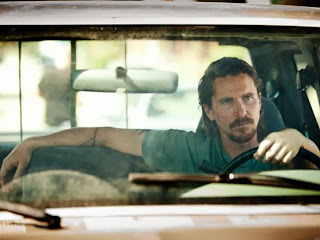 His brother Rodney (Casey Affleck) is all pent up rage and PTSD, a soldier returned home and found nothing waiting for him but a life he tried to escape in the first place. He's up to his neck in debt, and the only way he can slip back into civilian life is through bare knuckle brawls, earning a few dollars putting his body on the line yet again. He's eager for the pain, nervous for it, like an addict looking for a fix. The brothers love one another, that much is clear, but their relationship is lukewarm with disappointment and long-held grudges. While the brothers prove to be the film's heart, the dark and menacing tone permeating it is established right from the start with the introduction of Harlan DeGroat. Played with brutal efficiency by Woody Harrelson, DeGroat is a whirlwind of cruel violence, capable of unleashing his terrible wrath at a moment's notice, ruling over the town like some backwoods crime lord. It's DeGroat who runs the underground brawls that Rodney has been sucked into, mostly to get out of debt to a nice-guy loan shark (Willem Dafoe) we know has no place in this ugly world. When Russell makes a terrible error in judgment and finds himself thrown behind bars, Rodney is hopelessly left to his own devices and sinks further into trouble. When DeGroat asks him to take a dive in big fight, it's just another treacherous step on a path that isn't too hard to predict. Out of the Furnace is the slowest of slow burns, especially in the meandering first act as under-motivated characters flit in and out, such as Russell's one-time girlfriend Lena (Zoe Saldana) and the brothers' stoic uncle, Red (Sam Shepard). She represents hope for a better future, and when she eventually hooks up with the town sheriff (Forest Whitaker) while Russell is behind bars, it's another kick in the teeth from a life that has already been cruel. Cooper's deliberate pacing gives the film a true lived-in quality, and the dilapidated ruins of steel town Pennsylvania makes for a powerful backdrop character, captured by cinematographer Masanobu Takayanagi. The film's aimlessness eventually gives way to a straight-forward tale of vengeance that Cooper and screenwriter Brad Inglesby seem to think is more profound but is actually is. It's one of those movies that mistakes ambiguity for significance and its theme of hopeless men driven to the brink by limited choices is a familiar one, and despairingly ends with the burst of vigilante justice that was apparent from the very beginning. The supporting characters don't get much to work with, and the idea of Saldana ever being with Forest Whitaker is laughable even in a dramatic piece like this, but the main performances are big and handled with a delicate touch. All except for Harrelson, whose DeGroat is easily the nastiest he's ever played, which is really saying something. It's a big, commanding turn for Harrelson that sees him reach into the ugliest corners of his soul to play this monster of a man. In the less flashy of his two roles this season (the other being his combed-over turn in American Hustle), Christian Bale embodies a good man worn down to the nub. Like the other men in his family, Russell isn't the emotive type. He's a guy who keeps his dreams and fears buried away inside, but the truth is there in the hurt and hope in his eyes. In one especially wrenching scene, Russell learns that Lena has moved on with her life while he was in prison, and while he's happy for her the pain he's feeling is obvious. He also shares some great moments with Affleck, who has the trickiest part as the explosive Rodney, who is struggling with a return to civilian life and the expectation of normalcy. 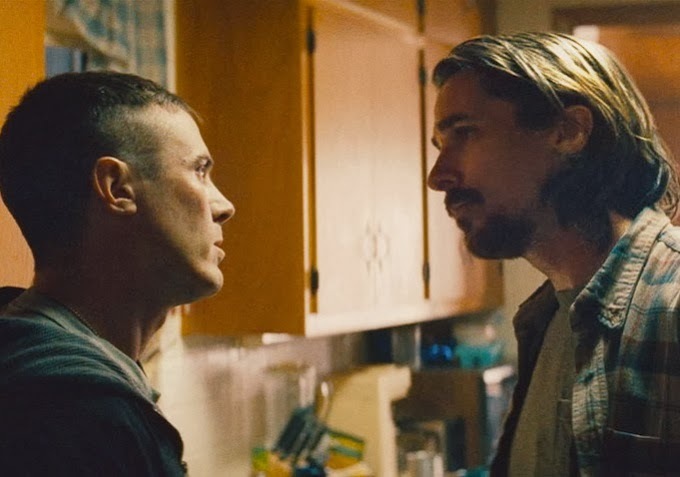 Out of the Furnace wants to be a complex film full of complex characters but it works best as a simple piece of depression-era noir.